These sweatshirts have an old school look and feel. One of the softest sweaters you’ll ever wear! Medium weight 100% cotton fleece. 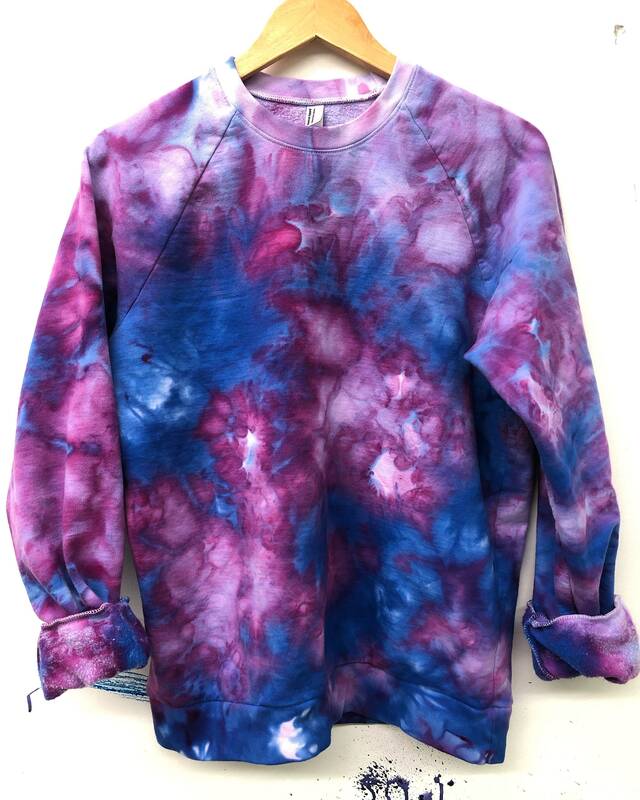 Tie dyed in colorfast purples, pink and blues. Sizing fits a little small so we generally suggest sizing up 1 or 2 sizes for that comfy oversized fit.